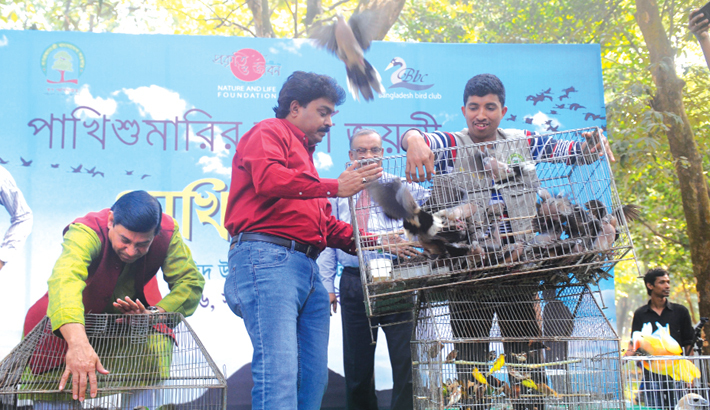 MEHERPUR: A two-day bird fair began at Pouro Community Centre in the town on Friday, reports BSS. District administration and district Livestock Department arranged the fair. Principal Farhad Hossein, MP, inaugurated it. “We should take initiatives to protect our natural resources by caring our nature” said Farhad Hossein. “Animals help us to protect our eco-system” he added. Some 28 stalls have been set up at the fair which will continue till tomorrow evening.